Tigran is the Director of Software Development with Perr&Knight. He oversees development of applications for the Enterprise Software Solutions group. Prior to joining Perr&Knight’s Santa Monica office in 2014, Tigran has worked in the Information Technology field for more than 15 years. His career began at Jet Propulsion Lab (JPL) where he oversaw software and hardware for multi-million dollar projects. Tigran went on to oversee 2,000 servers and 50,000 workstations while working at Countrywide Home Loans. He later joined iPayment, Inc., and worked to develop software applications from the initial start up point. In 2010, Tigran joined City National Bank and led a team that developed the first online banking system on the Microsoft SharePoint platform. He eventually joined Legal Zoom where he worked to develop a mobile platform which served to further drive new business. 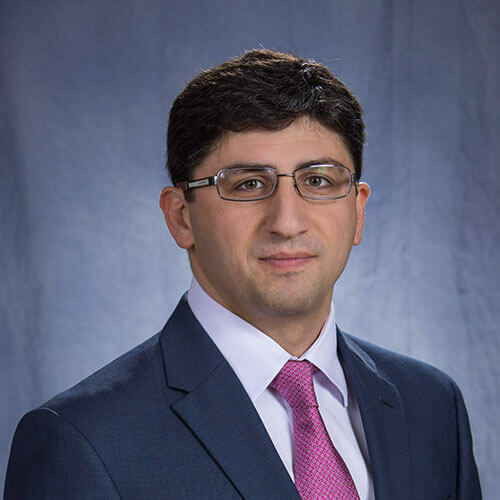 Tigran earned his Bachelor’s of Science in Information Technology from California State University at Northridge.